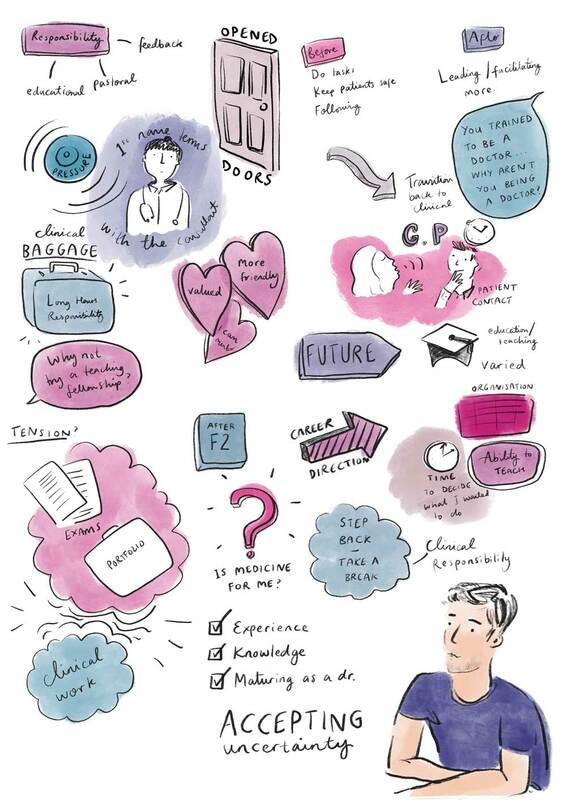 Last week I was commissioned to create live illustration / graphic recording for academic interviews of medical students who take on teaching fellowships at NHS North Tyneside. There was so much information to capture! This was all created digitally, on the spot, and collated after the event. 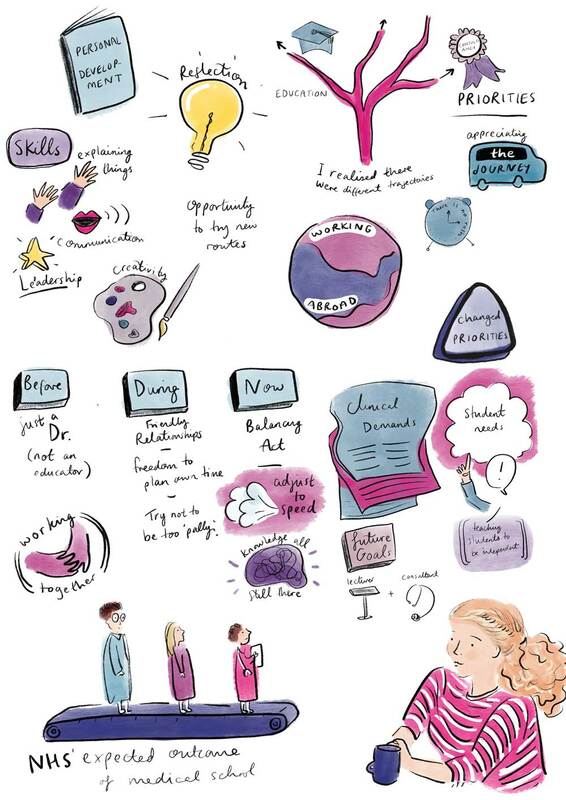 I absolutely love graphic recording and I become an information sponge, noting things down, creating images and drawing from observation and imagination. Live illustration is charged at an hourly rate. Please get in touch for a quote.